Once you have registered a domain name for your business’s website, the next step will be to choose a web hosting service. There will literally be hundreds of options for you to choose from. How do you know which web hosting service is right for you? Here are 5 tips for choosing the right one. How much bandwidth is your site going to need? The answer to this question depends upon what you expect your site to do. If you will be blogging daily, setting up constant video and audio feeds, or need unlimited email, then you are going to need to make sure that the web hosting service you choose is equipped to support PHP, MySQL, Perl, and other platforms. 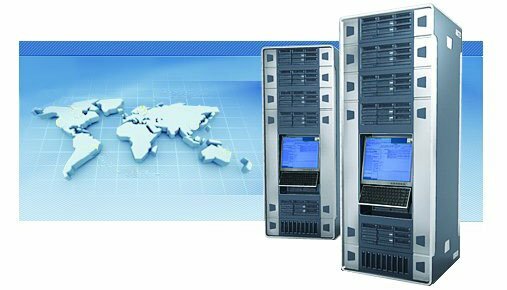 How professional is the technical support the web hosting service offers? This is one of the critical elements of choosing a web hosting service. Most reputable companies are going to offer 24/7 support. Questions you will need to consider include: Do they offer telephone support? Do they offer email support? How long will it take to get an actual representative on the line? How long will it take to resolve your issue? Where is the company based? Where is their support team based? Scrutinize the terms of service closely. If you need to cancel your contract for some reason, what types of administrative fees is the web hosting company going to charge? Is a money back guarantee offered, or is the contract nonrefundable? You will also need to take note whether or not the hosting site reserves the ability to shut down your business’s website without notice. Will the web hosting service be able to handle an upsurge in traffic? The purpose of engage a company like Webati is to use SEO techniques and other platforms to increase the amount of traffic flow to your business’s website. Once you engage these services, you can expect the amount of daily traffic that your site has to increase significantly. Will the web hosting service be able to handle the uptick? Additionally, you will need to inquire how often a company backs up their servers, in the event that their servers were to crash. How established is the web hosting service that you are considering choosing? Finally, this is one of the most important elements you will need to take into account when it comes to choosing a web hosting service. The company that you choose should have an established track record. You will want to ensure that they will be able to provide you with years of service. Look for professional and consumer written reviews about the company in order to gauge the experiences that others have had with them.